Is RealClean Rugs the right choice for you? 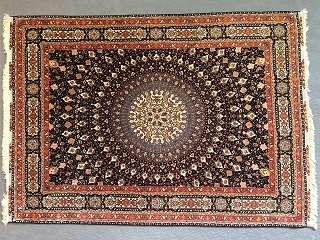 We specialize in cleaning Oriental rugs, handmade rugs and wool rugs in our rug cleaning plant. Washing is the method recommended to thoroughly clean rugs made of wool, cotton and silk. 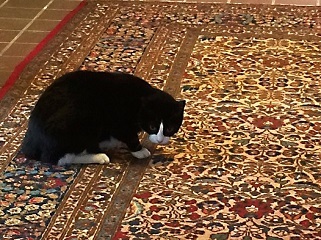 When we can properly clean your rug, we guarantee the rug will be free of pet odor. 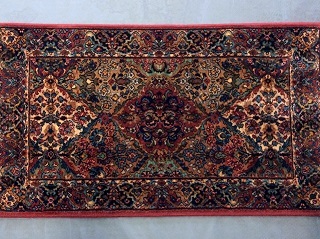 We clean rugs that were hand woven in Asia, the Mid East and North Africa. Many are more than 50 years old. 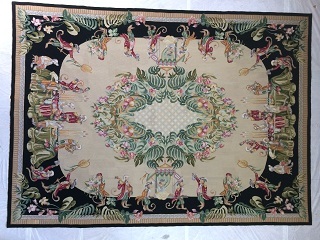 We clean a wide variety of area rugs like braided rugs, hooked rugs, rag rugs, needlepoints, flokatis, machine woven rugs and other wool rugs. When we wash a rug we guarantee removal of the odor caused by pet accidents. Is it an "oriental" rug? A quick review of rugs commonly refered to as “oriental”. These common rugs are held together with latex glue and can’t be thoroughly washed. Mon, Wed, Fri: 8:30 a.m. – 4:30 p.m.
Tue, Thu: 12:30 p.m. – 4:30 p.m. Call before coming. Sometimes deliveries run into the afternoon. 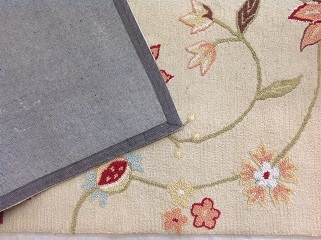 On Tuesday and Thursday mornings we pick up and return rugs in the Upper Valley.